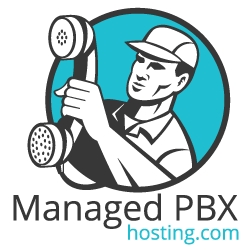 Request a Managed PBX Quote Today! Home / Request a Managed PBX Quote Today! If you are interested in receiving a free quote for a Fully Managed Phone System please fill out the form below. One of our sales engineers will process your request in less than 24 hours and provide a detailed quote via email. Once you have filled out the form to the left and a sales engineer has replied with your initial quote you will have the option to further customize it. CyberLynk’s Fully Managed Phone Systems have three models of phone to choose from, optional conference room phone, cordless and receptionist desk phone options. Not to mention headsets for desktop and soft phones. Do you need call recordings enabled? Maybe additional Groups/Queues or Auto Attendant Menus. Anything is possible! Our engineers will make the whole process simple and easy to understand. If needed we can discuss over the phone to ensure you completely understand the entire process and configuration. Once you are happy with the configuration your phone system can be deployed in 24-48 hours depending on your setup. Copyright © 2018 CyberLynk Network, Inc.